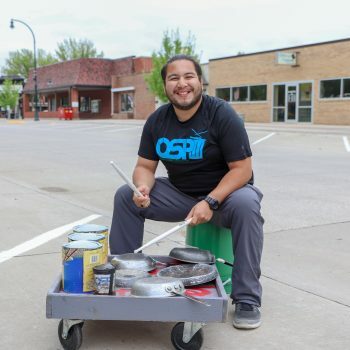 Omaha Street Percussion exists to bring the art of percussion to the public in a way that is tangible, obtainable, and exciting; demonstrated in such a way that promotes education, mentorship, and performance. 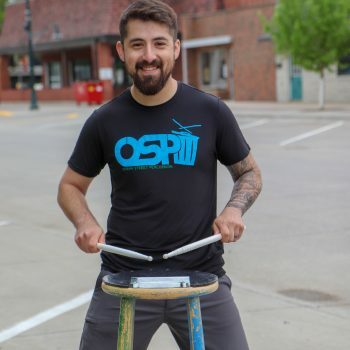 To create relationships with public and private educational systems, as well as other non-profit entities; existing as a collective of percussion educators that present the art of drumming with the focus on education, performance, and mentorship. Guest performances, workshops, and regularly scheduled programs are our 3 areas of focus. 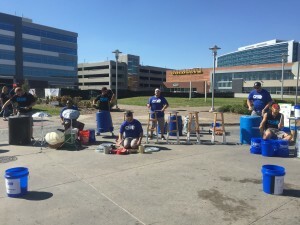 What is known today as Omaha Street Percussion started with an effort to raise funds for OSP member Jeff Babcock, as he and his wife were in the process of adopting a young boy from South Korea. 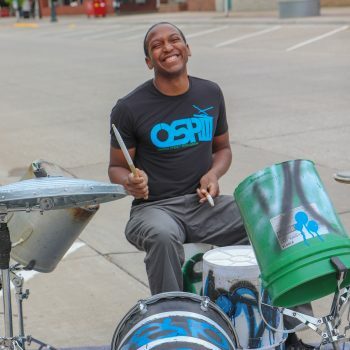 The guys, who had already known each other through a variety of previous drum activities, got together and performed a handful of times in the Old Market district in downtown Omaha for donations. 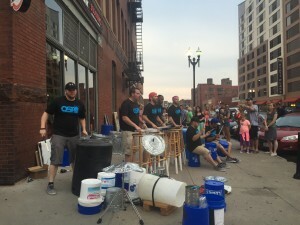 After the Babcocks successfully brought their son home, the guys noticed that there was a high level of interest in the activity, therefore deciding to form the group and give it the name Omaha Street Percussion. 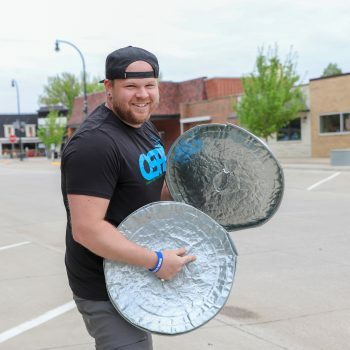 Credible names such as the Omaha Chamber of Commerce, Vala’s Pumpkin Patch, the Henry Doorly Zoo, and the Omaha Storm Chasers baseball club reached out to OSP for more performance opportunities. 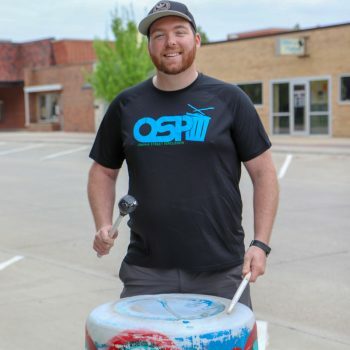 Also, teachers and principles from area schools began showing interest in before and after-school percussion programs. 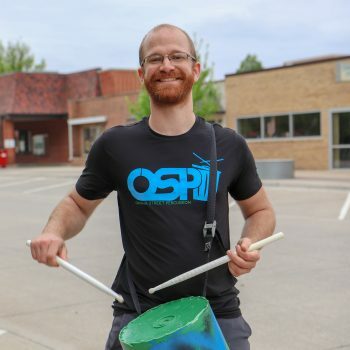 OSP has performed over 300 local and regional shows including festivals, corporate events, school assemblies, and the occasional street corner performance. 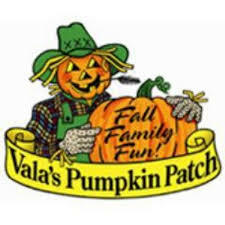 They continue to work with dozens of schools hosting both educational programs and workshops. 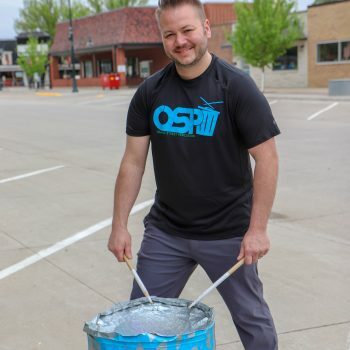 In 2017, OSP hosted its third Summer drum camp which had an enrollment of over 100 students, ages 5-14. 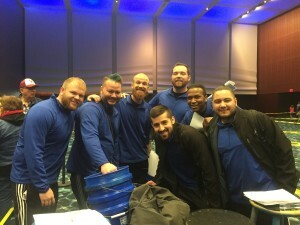 OSP has been together for over 6 years now, but the guys have been friends for many years prior. Their strong friendship with each other has been the glue that’s kept the group going. 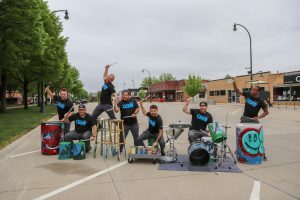 They’ve performed with other musical groups including Drum Corps International (DCI) Winter Guard International (WGI), Cornhusker Marching band, UNO Marching Mavs, Iowa Western Community Collage, High school marching band, church music ministry, and much more!